I have been on maintenance for over a year and had figured out how many points I needed to maintain and meet my goal every day without using my activity points I do not exercise so I can eat! Now weight watchers has decided how many points I can have and I have a daily victory only by using every activity point and ending up with a row of zeros every evening. And I never have room for a treat. I can't live like this forever. Please, please keep the Points Plus calculations in addition to Smart Points! Many of us who are not active WW members still follow the Points Plus plan, and we want to stick with it, because it works for us! Thanks for your consideration. Points Plus works for me. I'm not going to spend a couple hundred dollars for new books and things. YOU KNOW AT THE TIME I BEGAN POINTS PLUS, I WAS NOT IN A FINANCIAL POSITION TO JOIN WEIGHT WATCHERS. SO EVERYTHING, I HAVE LEARNED HAS BEEN FROM ALL OF THOSE HELPFUL FOLKS ON THE INTERNET IE: THE AMAZING SNACK GIRL. I WOULD JUST LIKE TO SAY IF WHAT YOU HAVE ALREADY DONE HAS GAVE YOU THE RESULTS YOU WERE LOOKING FOR STICK WITH IT. POINTS PLUS WORKS FOR ME, SO I AM STICKING WITH THAT. Hmmm seems to me that WW is getting closer to the nutrition basics recommended by Drs. Esselstyne, Bernard & Ornish and others who advocate plant-based diets as the way to go for weight loss but more importantly for reversing and preventing many diseases. I've been challenging myself to adopt more of their meal recommendations in my weekly menus for years now. Its not hard to do, is economical plus so satisfying and energy-packed. The more I eat plant-based the better I feel and the less I feel tempted by conventional western food. Old habits and traditions can still die slowly but I find, increasingly, that old favorite dishes are not as tempting anymore or I can remake them without animal products. I have been out of ww for awhile now due to health issues. Now that we have finally figured out what is wrong with me the Drs have put me on a strict low fat menu which seems to sound a lot like the new smart pts. I just might have to go back to WW to ck it out. I used to be a WW leader, and I'm always supportive of their new plans because I know that we are always learning new things about nutrition. I was excited at the rumors of protein being lower in points...until I got the new plan. I'm a vegetarian and everything I eat went up, but I lost points. I now feel like I'm being punished because I don't eat meat. My first day on the plan I ate the exact same foods that I ate the last day on PointsPlus. I had one treat (that went from 2 to 4 points) and I was down to 3 daily points after lunch. My breakfast was homemade and all whole ingredients, snacks were string cheese, and my lunch was a homemade bean soup with all whole ingredients. WW was always a lifestyle, now it's a diet and I will probably cancel my membership. I have been with WW on and off for 19 years and have kept off 50 pounds....BUT I did begin eating this new way a year ago. I continued to attend meetings but have been eating a lot more healthy fat and protein and zero sugar. I have lost several pounds and am way below my WW goal. I feel great and have much less pain from inflammation. I'm glad WW has gotten on board with what many of us have been saying for awhile. I love Weight Watchers! "Most of us are simply trying to get through them without eating an entire wheel of baked brie." Hilarious and so true! I first joined Weight Watchers in th 70's- fish 5 times a week and liver- at least once a week, my how,things have changed. While change is good, the underlying problem is that when we lose weight with WW, we give them the credit, but when we regain the,weight, we blame ourselves! Thus, WW has set up the perfect business model- we rejoin several times, thus making them money. I have been a lifetime member since the early 90's and have dealt with several formats, but, Points Plus has been the easiest to follow and least restrictive. I don't yo yo with my weight because I like to eat turkey and vegetables- heck, I have a sweet tooth- but it was managed with Points Plus- I didn't even make it through one day on Smart Points and I was over my limit- 30 SP a day and only 21 extra- I felt so bad, I ate another fiber bar which went from 2 PP to 4 SP. Biggest gripe I have is that all those goodies I bought at their meetings have no nutritional information on them- except the Whitman chocolates from the grocery store. Thus, I have decided to stick with the old program, even though the app is now a waste, and all the recipes in the recipe builder are gone! This is the start of my second week doing the new program. I LOVE IT!! !I lost 64 pounds after joining 13 years ago and achieved lifetime status 15 months later. I have kept the weight off and stayed within my range. I am very happy that weight watchers keeps up with the latest research and makes changes to the program when needed. Give it a chance :) New program is the best thus far. Patricia the website its all up and good now! Much improved over old one! Smartpoints will help us get back to goal weight! Good luck to all! Lifetime with extra 8 lbs up over goal weight! I have been on WW for a little over 2 years! Lost 60 pounds within a year on PP. Then I started to plateau and I have been that way for a year!! I could never reach 65 pounds!! So frustrating! I exercise almost daily, 4 miles or the elliptical and I was tracking but not paying attention to what else was in the food. Last Friday was my first day on SP and I figured this was my chance to refocus so I can finish the last 30 I need to lose. Well, I weighed in today after being on the plan for 4 days and I lost 3 1/2 pounds!!! WOW!! So excited!! I could have cried! I finally surpassed the 65 pound stumbling block!!! Oh Linda if only it were so I would be a very happy WW person!! Perhaps the website is A OK for you but that is definitely not the case for everyone!! Most of the people in my class of 30 plus people are extremely frustrated with the WW website!! The E tools is not what it should be. Most of my meals, favorites, etc. that I gathered over 4 years are not there or are not there accurately, all jumbled. It is really a mess. I have called numerous times. They just keep saying all your information is saved don't worry. However, I can't get to any of that saved information so what good does it do me???? Yes, I am extremely frustrated and trying to get past this because how it affects me is more important than the website but I am having a hard time doing it. Just can't seem to accept that I have to redo all I spent 4 years developing. Not sure I want to go down that path again. Like others, I'm considering looking for a different path to take instead. I just feel WW, the business, has really let me down. I paid for their service and they simply have not delivered. I have to either decide to continue despite their lack of support or find a new way to do this. To be honest right now I am floundering. I'm terrified I will gain the 100 pounds back. If someone can help me find my way back, I'm listening! I have been a lifetime member for many years using points. Eating healthy and mostly vegetarian as I do does not make this sustainable in the long run -- feels more like South Beach to me. But for someone who needs to learn healthy eating habits, it is probably a great plan. I now track on My Fitness Pal and count calories. Everyone is different. I just never got the point of the Points. Not much learning value there. Nutrition is the key and lots of fresh veggies and fruits. My theory is that plant based eating is the way to go and WW is finally awakening to the fact that nutrition is the key. Maybe it needed competition from experts such as Drs. Greger and Esselstyn who TEACH the value of plants versus animal products. I understand how frustrating it is to start a new program. Those of you who like the Points Plus way then keep following it. You must have all your books . I use to do it online but was always having issues with the site so I just went over to My Fitness Pal and so far lost 12 pounds in 5 weeks. Hey Lynn. Hang in there. I so understand how frustrating that is to lose all of your stored information. I was at WW yesterday and my leader said all of the information will be there but all the point values will show 0 because they have to be recalculated as they are no longer using the same 4 things to calculate the points. Old program used Calories, Fiber, Carbohydrates and protein. New program uses these 4 things. Calories, sugar, saturated fat and protein. I have being doing this 13 years and I really believe these changes are a good thing. Out with the old and in with the new. I know that this is going to make more work for you but Give yourself some time and be patient with yourself through these changes. But don't give up. I think once you get on the new program you are going to feel fuller and healthier than ever before and that scale is going to move down. I am sorry for the headache it is causing at the busiest time of year. I wish you much luck and success moving forward! Thanks Teresa. Support from people like you is the best part of Weight Watchers!! I am a Lifetime member since 1990 and lost 75 pounds on Points Plus. One day of Smart Points -- where my low-points day put me four points over my daily allowance -- and WW has lost me. I just had three parties in five days (with one small dessert each) and was able to stay within my points (and lose weight) by making good choices -- which I thought was the "point." I love Points Plus because I can socialize and have an unplanned evening out without worrying that I will use all my points up. This plan may be healthier on paper, but I believe it will be unsustainable in the real world, and for me at least, the new punitive values for sugary items -- which I only eat small amounts of on special occasions -- would lead to just forgetting the program on those days, or bingeing. I'm sorry for the WW employees who have to sell this program. I never considered giving up my WW online membership before this change, but I can't imagine ever going back now. I've been on Momentum in the past and recently started it again; now I've just switched over to 123 Success, an earlier points version (found info and calculator online). I only tried P+ for a couple of weeks so I wasn't on it long enough to form an opinion. I haven't tried SmartPoints at all, and I don't know that I will. What I do know is that when programs change I do keep the info and calculators for former programs (like Momentum and P+) so if I want to switch, I can. Points Plus included the use of a manual calculator. Does the Smart Point plan not offer this hand held device? I am considering a return during January. @Lion - I purchased a hand held Smart Points calculator from WW on their website. They also sale the hand held calculator at the meetings for $12. Where I am at they are having you bring in your old one and you will get $5 off the price of the new one. It is kinda like a buy back. I'm not yet sold on SmartPoints. I've lost 30+ pounds on PointsPlus. It works. Now, a great majority of the food I ate on PP are more costly (in terms of the % of daily points). I've done the math. Eating the same way on SP, I'm going to run out of points, something that rarely happened on PP. So, what was successful under PP, I'm now being told won't be successful under SP? Having a tough time with this one. I've lost 40 pounds on the Points Plus system and spent an entire year building up recipes and favourite foods... all gone this week thanks to the "new" system. I've tried re-entering recipes and foods but they won't save. Online help doesn't respond. Phone calls are not returned. There is no promise of any kind of refund or discount for taking away my working membership and providing me with a dysfunctional, non-working set of e-tools. This is one of the worst examples of a corporation introducing a new software platform that I can recall. I can't help but think that Oprah's new ownership share has meant that she's interfering in areas of the company that are beyond her expertise. I've lived through other system changes at Weight Watchers and none has been so badly executed as this one. It will be interesting to see if the company takes a financial hit over this fiasco. I bet they do. I'm all for a change but dropping this on us 3 weeks before Christmas was a bad move on Weight Watchers part. Give us a change with a little warning next time. I'm glad to hear that people are liking it and I'm excited to try it. I've been avoiding meetings since the announcement because I just haven't had time to learn something new with the holidays. Now that the craziness is over I'm ready to begin. This smartpoints program sounds realy good, maybe a little like the points program where saturated fat was counted. WW is tried and true and always has been my go to program. I tried the SP program for three weeks after they forced everyone into it. For the first week I couldn't get the website or the app to work properly. Even as recent as a few days ago I was getting server-side errors. The rollout was done so poorly, and when you combine that with the fact that it now feels more like an old-fashioned diet plan...no thank you. I quit. I'm using the app for my Fitbit and it's working great. I'm exercising more and eating better than I ever would have on SP. It's not worth the 19.95 a month anymore -- bye bye Weight Watchers! I agree with the negative reviews, I really think the new program of smart points is the way to go. The program was released at a bad time and the new app. Was not tested, it has a lot of bugs. I can not really use it. I liked the older app. I could keep track of liquids, fruits, veggies, good oils etc. Don't have the ability anymore, what good is it. Change is good but too soon and not enough time to test it. This new plan will not work if you are Vegetarian. I pay by the week and by doing this get nothing online . Imagine how many people that are not able to pay ahead that they cheat. Thank goodness for sites like Snack Girl. I can understand the frustrations people have with the change and change is hard. But I very much disagree that this is a money making ploy. Yes points plus worked but it didn't necessarily mean a healthy lifestyle. With this new system, you are a healthier person and losing weight. America has a serious obesity problem mostly contributed to saturated fats and sugars. This new plan makes it easier to avoid these toxic foods while also helping to lose weight. I am glad they made this change. I think Smart Points is the best program that weight Watchers has ever come out with. Thank heavens it started before Xmas, as it helped me lose weight during the holidays. I feel the meetings are so important to attend. That's where I get my support. Then again...I'm old school....I use the hand held calculator and a 3 month journal. There's nothing like writing everything down, and I had no problems transitioning to smart points. I just threw away the old and started with the new. Until the "kinks" are worked out....use the calculator ...like everything new...it takes time. I've been doing ww since 1984. I don't plan on changing again until I reach goal, about 8 more pounds, if then. While I think the change sounds good I was already eating much healthier. Now I have to buy new books and calculator. Again. I too am really finding W.W. difficult. I pay by the week and have zero access to recipes and apps - why? This makes no sense at all. Some people do not have unlimited funds and to be treated this way is wrong. Forgot to add that I love W.W. and meeting ! I feel this is not making it easy to work with! I do not like the new Smart Points. I was on the old plan of points plus and lost 40 pounds had everything down pat and now I feel in turmoil. I think people will get frustrated later in the diet after the thrill wears off. Nope. No no no. I have been using WW since 2002 and through all of the changes, this one is the absolute worst. I still hate the flex points, but I can at least choose not to use them. But tell me WHAT and HOW to eat instead of letting me make my own choices based on what fits my plan? Forget it. I know how to eat, what's healthy for me, and I how important those small indulgences are. 10 pts for a soda? Give me a break. And my 300 calorie lunch with 8 gms of fat has 10 points? Please. And red meat and saturated fat are bad again? It's like WW hasn't read any of the actual nutrition science published in peer-reviewed journals in the last 5 years. It's like they just called Oprah and "Dr." Phil and said, hey, what's trendy with your people? Cool, we'll do that. I know for me that a diet lower in simple carbs and higher in protein and animal fats keeps me fuller longer so that I eat less. I've always been able to make that work on WW until now. I could not be more disappointed. I am a lifetime member and started the new program a week ago. I don't like it at all. It encourages you to eat foods sweetened with aspartame etc., natural sugar is a much better choice. Yogurt points have gone up ridiculously. I am going back to using the point plus program. I didn't feel all that well using the smart points plan, I was very hungry had muscle cramps that I never had before, it felt like I was on a low carb diet not a balanced plan. I did well with points plus and didn't feel deprived ever, I could have a weight watcher five cream bar for a treat which was 3 points and only 100 calories in now is 6 points. That just crazy to me, sugar and saturated fats aren't the only way a food should be deemed healthy or unhealthy. I am a lifetime member starting on points and right before my goal they changed to points plus and it was in December as well. I had memorized points and avoided using points plus but finally bought the calculator and accepted the change because I also wanted to use the app. It was a hard transition. I've been away from ww for a couple of years and want to loose 10 pounds and found they changed again to smart points! This would be the 3rd plan in 5 years for me and I'm frustrated. I'll be looking for another program. After much stress over the change to Smartpoints, I decided to stay with the PointsPlus plan. It will work! My suggestion is, if you still have a PPV manual calculator,and user guide, use it instead of the new crap! Granted the good phone app is GONE. I have been able to google PPV's and so far I'm managing. I can see WW losing members over the change to SmartPoints, it's become like other restrictive diet plans. I have been with WW since 2002. Smartpoints is the worst plan I've seen! I lost 100 pounds on whatever points plan was then in vogue. So I KNOW the older plans work just fine! I don't have a problem if WW wants to tell us that they think sugar is bad for us, but we're here to lose weight, and we can do that while still eating sugar! Trying to stuff all if us into this super healthy plan isn't necessary, and it isn't helpful. I hate, hate, hate Smartpoints. I hate Beyond the scale. We don't pay WW to have them ask us what we did for "me time" this week. We're paying them to help us lose weight. Period. They thought this would save them from continuing their downward trend, but I think they went overboard and will continue going down. It's sad, because I'm so grateful for that old plan that helped me. I joined WW in October 2015. My goal was to lose 20 lbs, as of today I'm at 18. I was just getting started and had the points plus all figured out. It was like playing a game, they changed the rules and it's no longer fun. I'll be canceling soon. Switching to the new WW program I scanned a package of Entenmanns Cherry pie and it came up as 3 points!!! Using the calculator it was 16. I repeated this process on all 3 flavored and same result. Fellow WW friends, do not trust the barcode scanner until they get things corrected on their end!!! Use the calculator ! Now, there is no way I would have believed a fatty snack like this would EVER be 3 point, let alone would I ever eat it... But I was just picking up random items in the store to check their barcode scanning calculations. I too have mixed feelings about the new Smart Points program. I rejoined WW (for the 5th or 6th time since 1972) in Aug 2014 and have lost 25 pounds. It's been slow going but not because of Points Plus and not because of Smart Points. It's because I am not always tracking and following the program. Who knows where I would be without WW. Maybe I would have gained 25 pounds instead of losing 25. With joining WW, I wanted to learn portion control, feel better and still enjoy life. Points Plus was working for me. Going to WW and weighing in every week makes me accountable for what I ate during the previous week. However, I am not obsessed with the number on the scale, but let's admit it, it is one means of measurement. I have come to the conclusion...all of the WW programs over the decades have worked. If you follow the program, it works. I am a great cook who has always used fresh foods and we entertain quite often. We also eat out a couple of times a week. While on Points Plus, I entered a lot recipes and foods I eat regularly into eTools. Some of the recipes followed to Smart Points, some did not. None of my foods did. Another thing I was really disappointed with was the discontinuation of the ActiveLink. If I was doing housework, laundry or a lot of food prep in the kitchen for a party, the ActiveLink registered the activity. It wasn't like a good 45 walk, but I got credit for the activity. I bought a Fitbit Zip, but it's just a fancy pedometer. One day in late Dec, I was making a salad and looked up my favorite croutons. The value really changed. For 6 croutons, PP was 1 point, SP was 4 points for 7. I was not happy. My croutons were the thing I really enjoyed in a salad. So on Jan. 4, I bought 3 things...1) a pretty fabric covered journal to track my food, 2) a little spiral notebook to compliment the journal for foods that I eat regularly and 3) a Points Plus Calculator on eBay. I also brought out all the materials from Points Plus like the Pocket Guide and the What to Eat Booklet. I am determined to keep a written record of PP on my favorite foods, recipes and food tracking. I have not missed a day of tracking. Maybe it's old fashioned to actually write things out, but I think there is research to prove there is a connection with writing and learning. I don't blame WW for trying new things after all they are a business and have stock holders to answer to. They have helped thousands of people over the years. My goal is to lose the next 25 pounds and become a lifetime member so I won't have to pay as the whole WW package is costly. Once I get there, I will have all my tools at hand. Hang in there and don't give up! I really believe in WW and it works. I just feel like I'm starting all over every time they change the points system. All the materials change and you have to basically buy all new materials again, which is costly. I previously lost 26 lbs on the points plus, within the last two years. But I gained 10 lbs recently and wanted to get back on track. I like points plus much better. The reason why is it gives you two options on how to eat and lose weight. You could eat super healthy and lose or you may be more of a junk food junkie, and enjoy processed food choices but you want to keep your weight in control. It allowed for either route, and that should be your choice. I am a lifetime member and got there the with the old slide ruler. The points plus did not work well for me. I have changed my diet over the years and it resembles the new smartpoints so I decided to give it a try to lose a hard 5 lbs. I'm trying to find recipes on pinterest and am curious how to convert the points without making it daunting. I need easy. Any suggestions? I must say that I feel the new Weight Watchers points systems (Points Plus & Smart Points) give much less food than the older points system. Today I ate lentils with quinoa and brown rice and found that it gave me 17 points compared with 10 on the old points program. If I had eaten a hot fudge sundae I could understand this, but lentils and quinoa? By lunch I had consumed 83% of daily points. On the old program, I would have been at 57%. Very frustrating, in my opinion. I'm struggling with the new plan..came back after a year or so, need to lose another 13 pounds, I've lost only 2.2 in 7 weeks. I exercise 5-6 days a week...won't go to bed until I've reached over 10,000 steps. Why can't I lose.? I heard from a very reliable source the reason they changed point system was because they were losing money and needed to change everything so that members would have to buy all new products.For that reason I'm out AND you are all brainwashed! I have been a WW member for 13 years. 12 of those a lifetime member, maintaining a 65lb weight loss. The program has changed at least 7 times since I joined. So this is not WW's first change. WW's tries to stay on top of the latest science and makes changes accordingly. So your "source" is completely wrong or flat out lying. There are always going to be haters! But it works and is a healthy way to live. People following WW are not brainwashed, instead they are in a program that gives them the support to make necessary changes to be their best self. I have been a member on and off for almost 14 years. I finally rejoined for the last time and reached my goal. I have maintained a 60 lb weight loss for almost 2 years now. PP made it easy to follow because it was not so restrictive and I could enjoy a splurge, track it, and be within my points. This has not been my experience with the new SP program. When SP rolled out I was positive, backed it in the meeting, and embraced the new point assignments. Tracking has been one of the keys to my success and I had tracked EVERY day for the last 2 1/2 years...until now. I still track 95% of the time, but SP makes me feel like if I am going to splurge I simply do not have the points to make the choices I used to. Really not fond of the new program and contemplating what to do. I track everyday, I have only eaten sugar two times in four months because sugar snacks are so high in points. It has been a VERY slow loss of only 10 lbs. on SP. I have 15 lbs to go to my goal - being Pescetarian and Gluten free and can't figure out if this is why it is so slow, I also run out of points often and am hungry. I've never tried so hard in my life and I'm almost 60 !! I LOVE the new program. Yes sweets and all the things you shouldn't be eating are higher but that's why you were gaining in the first place. I struggled with losing weight on Points Plus but now with Smart Points im down 11 lbs since January. That took me all year with Points Plus. I too am not a fan of the Smart Points. I do not eat meat and lost 35 lbs on points plus. Found it very easy to stick to as it does give opportunity for a dessert. I have gained 10 lbs back trying to use smart points. It is so restrictive w food I enjoy, other than fruits and veggies. I really am better when I track and also think I need to go back to manually using points plus calculator. I wish Weight Watchers would listen to all users and maybe allow you to use either one. 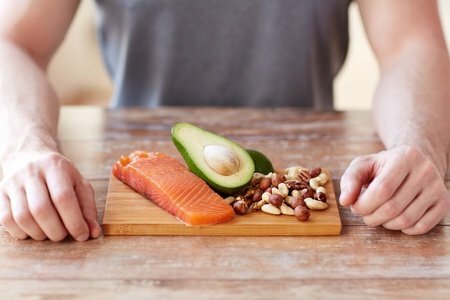 I think if you eat healthy and not eat a lot of fat etc either way will work for you. SMP helps those who eat a lot of fat etc but people have lost weight on both programs. Wow, I thought I was the only one struggling with the new SmartPts program, website, and app. I lost 130 lbs on Pts+. Had some serious family matters happen and gained all but 15 lbs of it back (food was my comfort). I came back to WW 3 wks ago. I’m not feeling the love. First wk was frustrating, but I hung in there; fast forward 3 wks and I’m still hungry and frustrated. It's extremely restrictive (like other diets I've tried and failed at in the past). I don't feel like I have as many "healthy" options. I love grains (lentils, oat groats, etc.) but the points are higher. I understand that everything chgs and chg can be good, but I'm at a loss to see how these changes are "good." I have multiple calculators and scales (at home, work, and a friend's house) so I have no excuse not to eat healthy and keep track of my pts. However, I don't need to keep paying for a plan that isn't working for me. As so many others have said, I am extremely frustrated (and discouraged) by the chgs. I loved that you could eat anything you wanted, have occasional guilty pleasures, and still see amazing weight loss. Now, it's no better than any other weight loss program out there, too restrictive. Oh, and don't get me started on the 24/7 chat help. I was told today that unless I "quick added" a pear with 0 points, I would have to scroll through 2 pages worth of foods and recipes to get to "pear(s)". It won't show up as the first thing on the list. Really? If you want to push fresh fruits and veggies, shouldn't that be the first thing that shows up on the list and everything else after that? When I voiced my displeasure, all I got was, "sorry... is there anything else I can help you with?" Nope! Even the WW suggested recipes sound awful. I use to look forward to seeing new recipes... now, it's things like chicken with grapefruit. Yuck. WW, PLEASE bring Pts+ back or give us an option. Will be cancelling my subscription if I don't see any dramatic weight loss changes by the end of June. I wish they would make the weight watchers scanner work on 5.0 Android smart phone. This kinda sounds like a low carb diet? I'm a lifetime member and joined WW in 2001. Points plus changed my life and I never felt deprived. I have been at goal over ten years and with the new program I feel like I am on a diet. Any word on them fixing this mess? I'm continuing to stay on the Point's Plus Plan. At WW weigh in this morning ... I lost 5 pounds this week! PPV has proved itself that it works for people. WW should allow members to choose which plan they prefer!!! I feel like I'm paying $40 per month to weigh in and go to the meeting, since WW disabled the PPV app. that I used constantly throughout the day. Thankfully I still have 2 of the old calculators and the 360°book. There are several apps available that can track original points or points plus. I do Momentum and use itrackbites to track. I am currently using the PP program and I use an app called ProTracker. It costs $3.99, but the price is worth it to avoid the monthly costs with WW and to avoid the SP program. I was contemplating giving SP a try, but after much research I have decided to stick with the tried and true PP program. The ProTracker app works great. You can track activity and healthy checks. It has a manual PP calculator built into the app. Some foods/restaurants are harder to find, but I just use the My Fitness Pal app to look up the nutrition information and then manually calculate the points. I have lost 50 lbs using the PP program and I am going to stick with that. Personally, I lost more weight on Points Plus. I felt more satisfied and rarely 'cheated'. I ate healthy foods on PP, but knew I could have a small 'indulgence' without blowing the day. 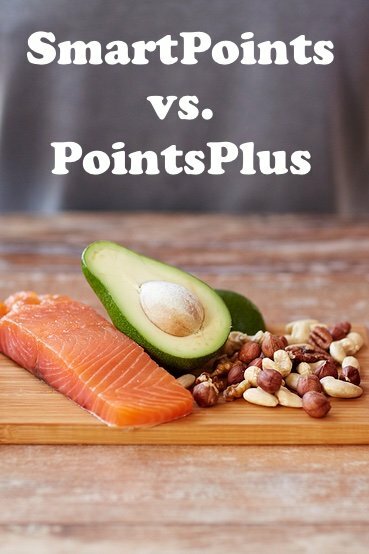 I love meats and protein foods, but I don't think the Smart Points plan is as realistic as the Points Plus plan and am concerned about maintaining it in the long run. I am a Type 2 Diabetic, and my A1C was lower on PP than it is now on SmartPoints. Perhaps it just varies from member to member. But I wish we had the option of either/or. I'm addicted to Pepsi, have been since I was 5 (28 years) & always fail diets which make me cut it dead. (It's not as simple as just quitting a 2-3 litre a day habit cold turkey. Sugar free drinks don't cure the craving, headaches etc that go with the sudden sugar withdrawal). On ProPoints (points plus?) I was able to reduce to up to 3 (treat) cans a day (spread out) if I'd been good & still lose 6lbs in a week, a stone in just over 3 weeks. Amazing! This diet was successful & was helping me slowly cure my Pepsi addiction gradually without the harsh sudden sugar withdrawal. Smart Points now mean 1 naughty can of Pepsi is enough to screw up my whole day. It's my only weakness food-wise & now it's enough to ruin my day if I sneak a treat. 10 points a can!? I loved ProPoints, being able to lose lots of weight while allowing myself my naughty fix. Smart Points resulted in me quitting WW completely. The app should allow you to choose which plan you wish to follow if you pay for the service. I logged in 1 day found everything I enjoyed was suddenly a no go area. Fine if you have strong willpower, but I wouldn't need to diet if I had that. I would happily rejoin if they would give you both plan options on the app. Weight Watchers was once perfect for me, now I'm searching for alternatives, having gained weight back without my beloved ProPoints. Just keep following the Points Plus plan, that's what I'm doing. I very much agree, members should be able to choose the plan they want to follow.. and have the necessary information available! What was the ww program in 2000? I lost weight easily on that program and kept it off until I came down with an autoimmune disease and had to take large amounts of prednisone for 20 months. I was then on PP but didn't do as well. Hopefully,I saved my old books. I have called friend that lost 53 lbs on SmartPoints but she walks at a minimum 2 miles a day. I am a Lifetime member and after surgery last year gained weight. No exercise and the steroid shot got me. The SMart points program is not working for me. I am very careful counting my points, and gained two pounds the first week, lost those plus one and now I have gained again. After reading lots of different comments, I think maybe I am eating too much fruit. Trying to satisfy my sweet tooth Imeat fruit instead of just having a piece of candy. I have always gone to meetings but this time I am using the online program . I am determined to hang in there but it is very frustrating. I honestly felt betrayed when WW rolled out the third version of points in the less than 8 years I had been on WW this time. Like many others here, I had calculated points in my favorite recipes, then recalculated them when they came out with Points Plus. I am just not inclined to do it a third time, knowing that in a couple years, they are likely to revise the program again. I was trying to just continue with Points Plus, but fell off the wagon, and then got even more annoyed when my calculators quit working. I've now decided just to count calories, trying to keep in mind the guidelines of more protein and less fat and sugar. Weight Watchers' strength is in its meetings, not in the diet-of-the-year. I am still attending meetings, but it will be a while before I decide to start counting points-version 3. I am a Lifetime Member , lost 40 pounds on PP. gained back some after 13 years. Smart points makes sense but it isn't working very well for me. I am fanatical about counting points and bought a WW scale. Wed. I went over points and gained two pounds. So discouraging . The first week I was on smart points I gained. I just don't get it, but I will not give up. I am doing WW on line for the first time. I have not heard, but I think our suggestions are falling on deaf ears at WW. FOR THOSE WHO WANT ALL WW POINTS SYSTEMS: I'm not much of a joiner so I checked out apps. I found one that duplicates WWW. It is: iTrackBites *FREE It will take you from one WW point system to the other. I started out with Points Plus. I have a sweet tooth. I would like to get that under control so now I'm switching to Smart Points. I can always go back to Points Plus if I want to.. even change day to day. I love this little app. I am presently losing about a pound or two per week. I feel this is finally doable. I so agree with Heidi! I lost 58 lbs on points plus and realized I would have to get tighter on my use points to lose even more weight. But I NEVER felt punished for what I ate and rarely went beyond my weekly points....but on smart points I feel very punished. I am a mom of a family who is not interested in changing what they eat. On points plus I could eat all the meals I usually had but with many more vegetables and less pasta/rice throughout the week. Now I can't have anything I have usually eaten because the points are so high that one meal leaves me with 5/6 points for the rest of the day. Then if I decide I want a treat it uses up practically all my weekly points in one small treat!! My family does not want to miss out of the regular meals and I refuse to make two meals. Smartpoints is basically what we were taught in PointsPlus. Sugar is bad and everywhere, and watch your fats. I like weight watchers because they were about support and encouragement. I don't feel encouraged at all on this new program. I just joined WW for the 3rd time and I am disappointed about the change in Points. First time I joined it was Points and I lost 20 lbs. Didn't keep up for several years and when I rejoined(on-line) it was the Points Plus. I elected to use my old Points plan, with the book and slide rule converter. (I bought them used on E-bay) Very successful, size 16 to size 4, 50+ wt loss.I just joined again, need to lose 25 lbs due to retiring 2 years ago ;) I plan to use the tracking and weigh-in on line but use original slide rule and points. I'm kind of Type A, and the set weekly tracking and 'seeing' the loss on a graph is the biggest motivator for me personally, Points system isn't that big of a deal. I did weight watchers years ago and it worked brilliantly, now a pint of semi skimmed milk is a crazy 12 points of my daily 30.im not eating anything sweet as they are far to high in points and even having a corn on cob the other day after eating only 2 meals in the day. That were super healthy with lots of 0 points veg and salad I still went over??? I don't think I can have 3 meals a day as cereal for breakfast would make my milk points rediculous. Louise - A cup of skim milk is 3 points. How much milk do you put on your cereal? I lost 40 lbs a few years ago on Points Plus. I was about to join WW again when I started reading about Smart Points. Not being able to trade exercise for points or have a certain number of cheat points per week has convinced me to do points plus on my own. Those extra points make the program doable for me. I dine out often with friends - the flexibility of trading exercise points and having a weekly allowance help me to stay the couse. I was considering other weight loss programs - but they have no room for cheating a bit. I guess I'll go it alone with Points Plus. By the way I'm down 3 lbs since starting 10 days ago. I agree. The smart points are very high. notice that on the frozen WW meals, you have to hunt down the point value and then, a very small portion of whatever is a big chunk of your daily points. I have two cook books that counts carbs instead of sugars for SP's. Is there any way to convert these recipes to SP friendly? I tried WW about 3-4 years ago. Failed miserably. Didn't follow through, being the reason, not their system. My dear friend from church invited me to join them at a meeting, stating that WW had a new Freestyle program that was working for them. I knew about his struggle, somewhat similar to mine and thought, okay... let's try it. Have to admit, the word 'Freestyle' on the first booklet I received made me a bit leery, since willpower was not distributed to me as part of my DNA. 4 weeks later, 10 pounds lighter, and I am LOVING THIS SYSTEM. And here's why. I thought my previous low carb mentality would work, and it did at first, but I soon grew weary of eliminating fruits from my list. With the zero points list of items, I've been able to fill that void graciously and satisfyingly. The meetings are essential for accountability and understanding that I am not alone. The struggle is real and varies for each person there. I've learned to ask myself when an event is going to be a food fest, necessarily "IS THIS MY SPECIAL OCCASION?". I've learned that when someone sweetly bends over to give you a heaping dessert plate of their special homemade cake and butter cream frosting, that I can say "Oh my, that looks scrumptious, I will try some later". This makes the giver feel complimented, and makes them feel they've actually given you something, without you actually accepting, and there fore the temptation is remove, and you haven't brought undo attention to yourself in public. I've learned that I actually LOVE Fage 0% Greek Yogurt, with Del Monte No Sugar added Peach Slices, and 1 Tsp. Honey! The honey is 1PT. That's it! Didn't think I could do it... Almost didn't even try, but one meeting gave me so much information, motivation and inspiration! My cholesterol is better, my blood pressure is lower and now I'm going to the YMCA to swim. I'm at 25 lbs lost! My goal is to achieve that again, 2 more times for a total of 75 lbs. The switch is on. Wish me luck. And good luck and God bless all of my WW brothers and sisters in their journeys. Of course you are entitled to do any plan you want. I totally understand wanting to stay with what worked for you in the past! I was the same way! I held on to PointPlus, was on it for several years when I got to goal. I fought it for 3 more years. Then I finally decided to get on the new program and stay there. The program has developed with all the latest updates in the nutritional world and I respect that. That is why the program changes. It’s not to make more money like some suspect! We know so much more about the effects of sugar and saturated fat than we did 15 years ago! I recommend joining again and learning what Freestyle Smartpoints are all about. Then if things are still not working you can find different phone apps that support some of the older plans for tracking. Best wishes! I feel that the Smart Points system is way too restrictive and someone who is overweight is probably overweight from eating the wrong foods but cutting them out on the SP programme is not the way to go. Easing them out is a better option. SP doesn't allow you to ease them out as a bar of chocolate at 12 points is more than half your weekly allowances. What other treat could you then have for 9 points ? It is unrealistic and I won't be following it. People who are trying to lose weight need to concentrate on that first before they start on trying to eat healthily but trying to do the 2 things on SP programme at the same time is too much.